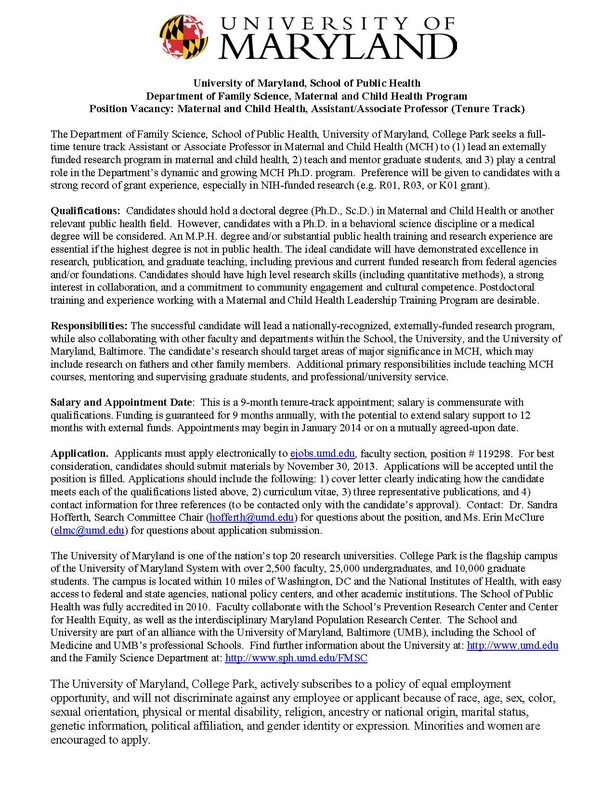 Thank you to Dr. Sandra Crouse Quinn, a CCHE academic collaborator and HELI faculty, for bringing to our attention three Assistant/Associate Professor faculty position openings within the Department of Family Science at the University of Maryland College Park. 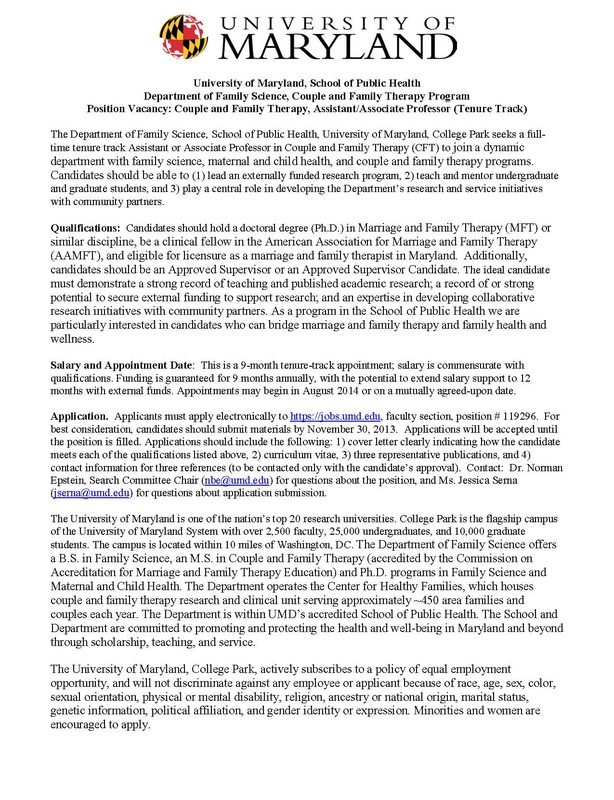 The three tenure-track positions are in the areas of Couple and Family Therapy, Family Health and Well-Being, and Maternal and Child Health. 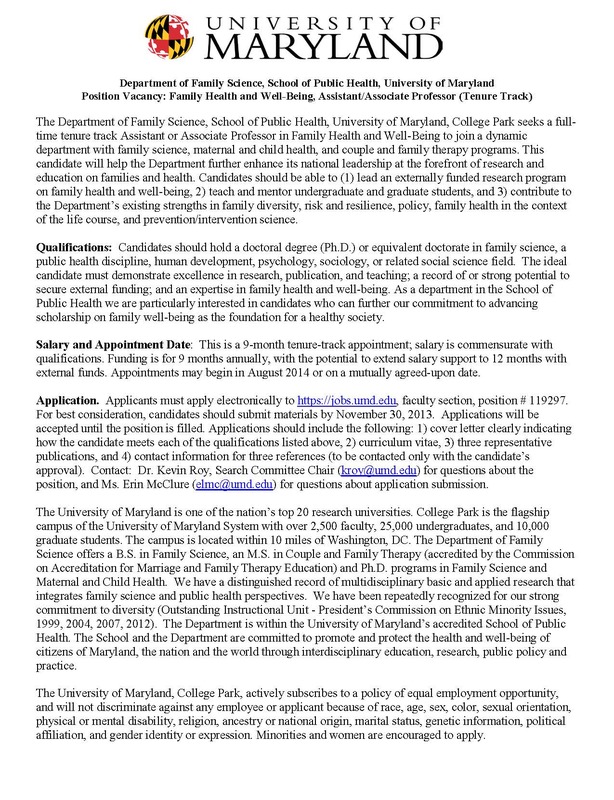 These opportunities are posted with the university and will remain open through November 30, 2013. Please see the attached files for the full position announcements, details, and position numbers. 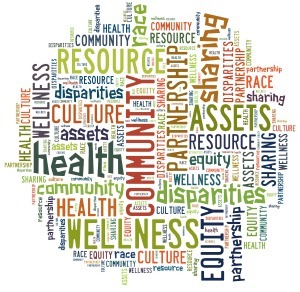 Announcing new roles of Dr. Earlise Ward & Dr. Carmen Valdez in CCHE!